(Photo: REUTERS / Gleb Garanich)Clergymen attend a service near the Kiev Pechersk Lavra monastery on the day of the election of the Primate of the Ukrainian Orthodox Church of the Moscow Patriarchate, in Kiev August 13, 2014. Former Primate of the Ukrainian Orthodox Church of the Moscow Patriarchate, Metropolitan Vladimir of Kiev and All Ukraine died on July 5. The Roman Catholic Church in Crimea is facing closure should it fail to comply with religious regulations set by Russia, a Catholic news agency reports. In an interview with Polish Radio, a top church official in the region said he hopes to get the approval from Moscow on a second attempt to have the Catholic churches in the peninsula registered, asianews.it reported. "Today we sent the documents to Moscow and are waiting for answers," said Auxiliary Bishop Jacek Pyl of the Roman Catholic diocese of Odessa and Simferopol in an interview on January 21. The diocese covers Odessa which is part of mainland Ukraine while Simferopol is in Crimea. Pyl nonetheless remains optimistic about the likelihood of having the diocese's documents approved by Russian authorities. After Crimea's excision from Ukraine and its subsequent annexation into Russia, the Catholic Church in Odessa sent pertinent documents to Moscow in an effort to have the church registered under the Russian government. But the registration had been denied because parts of the forms were written in Ukrainian. 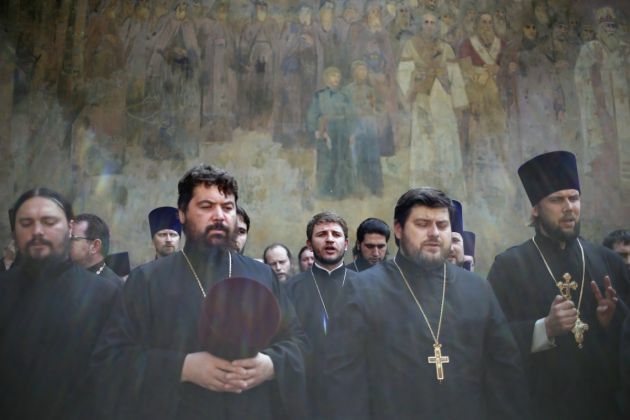 All churches in Crimea must be registered with Moscow by March. As part of the requirements, at least 10 of its parishioners must have Russian passports. Only after the recognition from Russia will follow the registration of parishes in Crimea, where there are currently seven Catholic parishes. Due to the recent development, the diocese would be collapsed into a pastoral district under the episcopate of Ukraine, a report from the Religious Information Service of Ukraine. The report was also unclear as to the fate of Polish clergy, specifically whether they would be able to obtain visas in the Russian controlled area and whether Ukrainian priests will be allowed to stay. Crimea conducted a controversial referendum in March last year, seceding from Ukraine as the border conflict between Kiev and Moscow intensified. Russia also signed a treaty of accession with the Republic of Crimea, making the peninsula included into its fold. The twin moves of Crimea and Russia were heavily criticized by the international community and are said to be in contravention of international law. The Vatican does not officially recognize Crimea as part of Russia.